We are so incredibly excited for the start of the brand new Union Graze farmers market tomorrow. It reminds us of the market that inspired us to start Kinderhook Snacks in the first place - a Friday night market with local beer, meats, cheese and produce, of course. 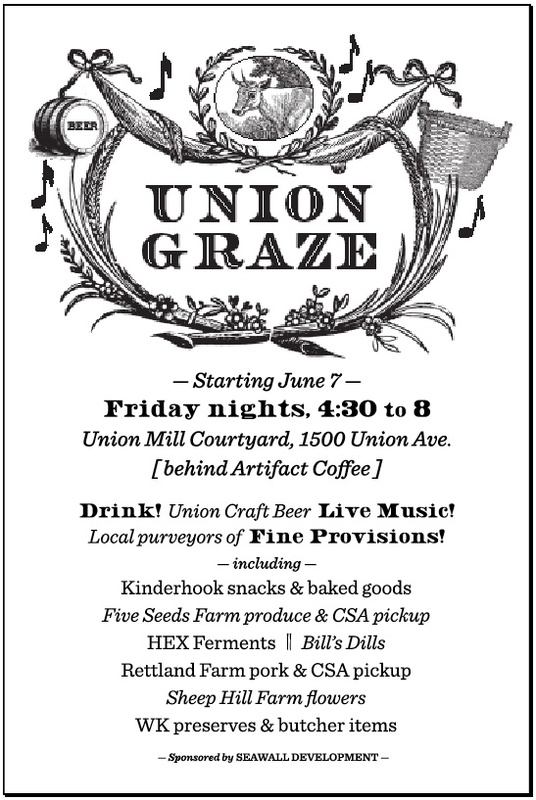 The Union Graze market starts tomorrow from 4:30-8PM right behind Artifact Coffee at 1500 Union Avenue. We'll be setting up next to local farmers + vendors like Five Seeds Farm, Rettland Farm pork, Sheep Hill Farm flowers, HEX ferments and Bill's Dills. There will be live music, delicious beer from Union Craft Brewing down the street and Woodberry Kitchen preserves + butcher items. We'll be there every Friday, rain or shine. Come see us tomorrow to kick off this amazing event!